Danish DJ/producer Kasper Bjørke had a busy 2012, the highlight of which was releasing his 'Fool' album. Setting off 2013 in a similar vein, Kasper releases a remix package of one of ‘Fool’s highlights – ‘Sunrise’. The original is an emotive disco pop track featuring the talents of Jacob Bellens. The fourth single from the album and third featuring Bellens, Bjørke has clearly developed an affinity for the songwriting and vocal skills of the I Got You On Tape and Murder front man. Elsewhere on this release hfn music have put together a remix package, featuring the skills of Yuksek, Slow Hands and Bjørke himself. Kasper offers up two other takes - the Alternated Dub and Alternated Vocal versions. Both draw on the electro pop vibe of the original, making full use of the bouncy bass and shimmering synths. French DJ and producer Yuksek sees ‘Sunrise’ in different shades, developing a euphoric house bomb for the dancers. His two versions - the remix and Dub – build with total confidence before a classic piano house chord progression breaks though. 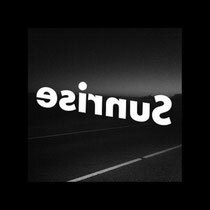 US hot property Slow Hands twists ‘Sunrise’ into a completely new direction, layering the treated vocals over a lush deep house / Balearic groove to create a woozy slice of aural beats. It’s out now.